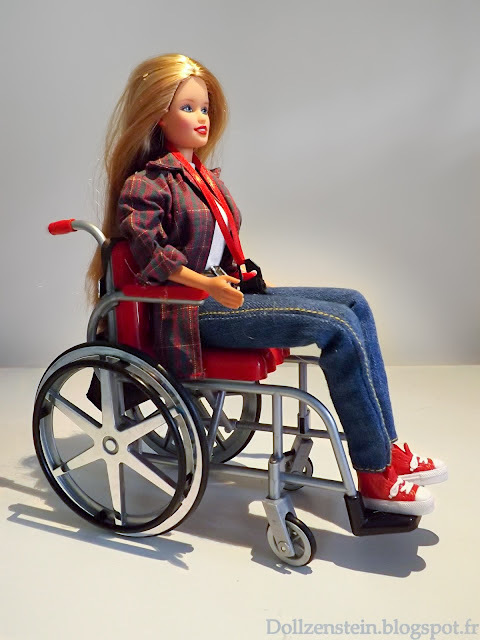 There have been rumors about Mattel's new highly-articulated Barbie doll for a while now. I'm not a Barbie expert, but I do pay attention when someone says "highly articulated," so I've been keeping my eye out. When the new Style Barbies were released earlier this year, I figured that's what the rumors must have been about. These Style dolls have articulated ankles, but they come at the price of the torso joint...so it's hardly an improvement. It's like one step forward, one step back. 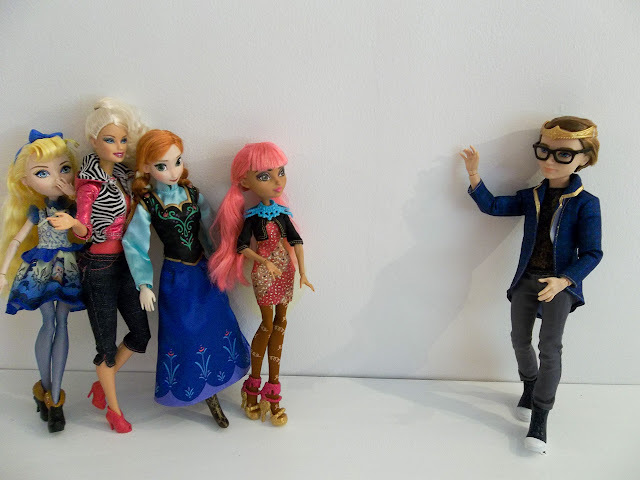 There are so many other interesting dolls to review, I basically dismissed the new Style dolls and the Barbie articulation rumors and went on with my life. However (and many thanks to those of you who alerted me to this) the rumors were not about the Style dolls at all, but rather the Made to Move series, which has just recently been made available. These dolls are still not on the shelves in Maine, but they're offered online...often for a premium. I found my doll on Amazon for around $30. The actual retail price for these dolls is $14.99. Which, I can tell you already, is a huge bargain. 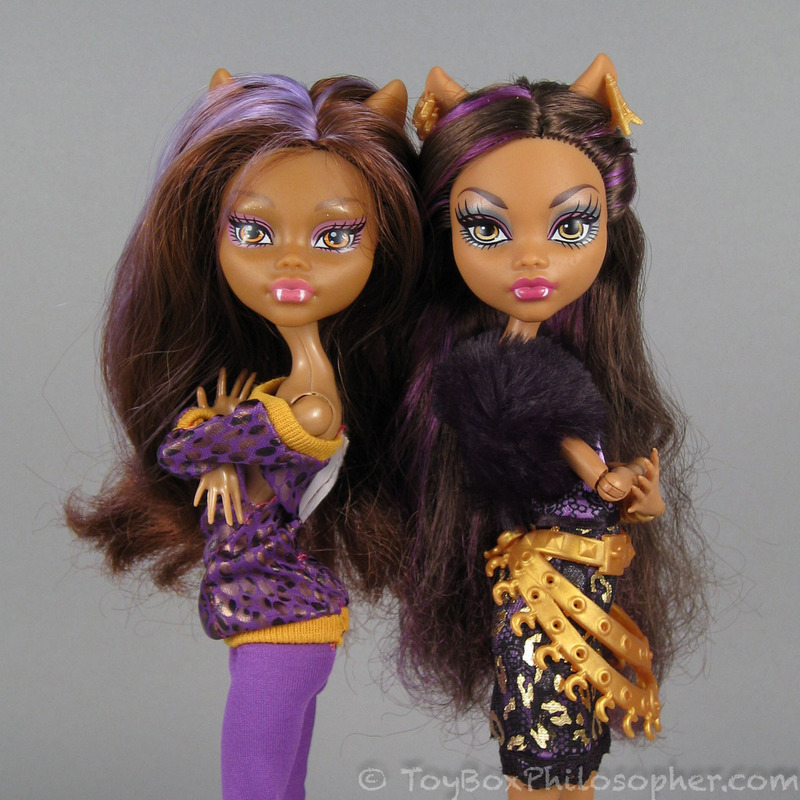 It's unfortunate that I confused the new Style dolls and the Made to Move dolls in my head, because my reaction to these two collections could not be more different. 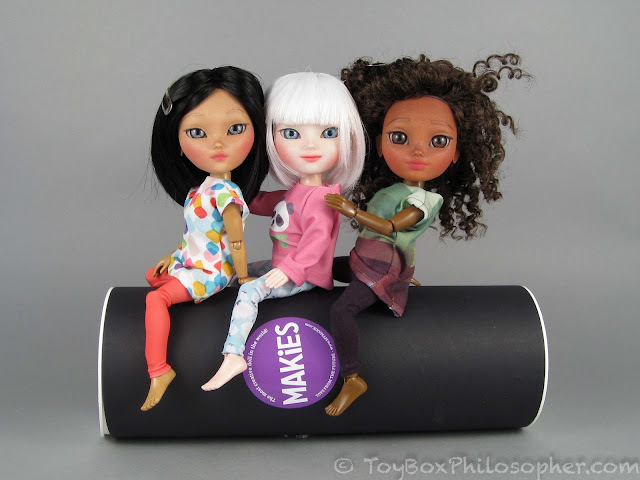 While I'm underwhelmed and uninterested in the re-designed Style series, the Made to Move dolls are pretty much a dream come true: an affordable, attractive, well-articulated play doll. Made to Move Barbie (Teresa), $14.99. 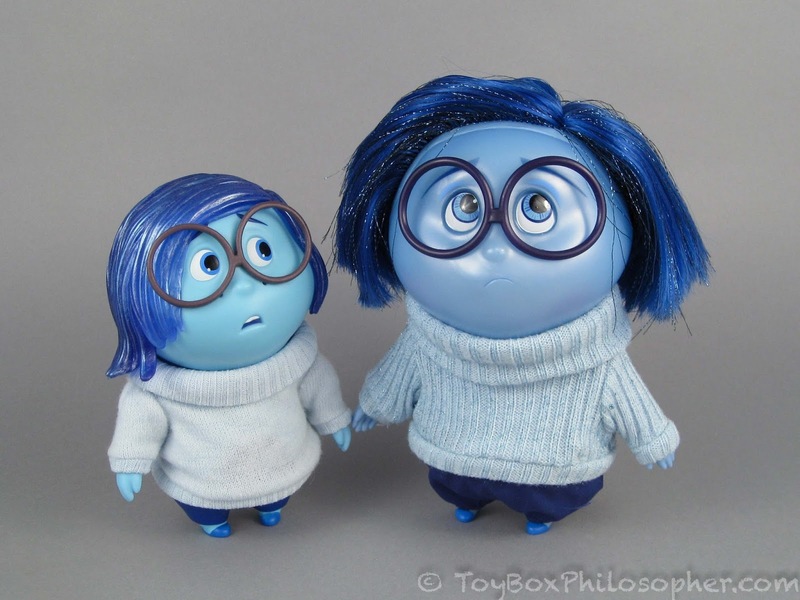 Sadness Figures from Pixar's "Inside Out"--A Comparison Review! The Pixar movie Inside Out was released on DVD last week, and to celebrate I decided to review two different versions of Sadness--my favorite character from this show. I absolutely love Inside Out, but when I watched it in the theater, I had to constantly battle with myself to suppress tears. At one point I made a strange strangled noise to try and control an anguished sob, and the lady next to me shifted in her seat to increase the distance between us. I don't blame her. But there were other times during this movie--mostly when Sadness was talking--that I laughed until I was wiping away tears for the opposite reason. As some of you might remember, my oldest son is getting ready to leave home and go to college, which is hectic, exciting, scary, wonderful...and sad. Frankly, I walk around most days feeling emotionally stunned. So this is a good year for me to latch onto a movie that deals with emotions and kids growing up. And a good year to appreciate the delicate balance between joy and sadness. Tomy's Sadness ($24.99) and Deluxe Talking Sadness from the Disney Store ($19.95). Mystixx Rococo Zombie Azra's face. A few weeks ago when I was on a research mission at Toys R Us, I walked through the Doc McStuffins aisle--something I don't always do. The new wave of Doc McStuffins dolls are smaller and have more character in their faces, and so I wanted to get a few pictures of them for the Photo Mission. I never actually got those pictures, though, because I was distracted halfway down the aisle by the appearance of a brand new type of doll. There were three of these colorful newcomers, all of them oval-headed, huge-eyed, bright-haired sprites about 8 inches tall. They're called the Little Charmers. I had to do some research at home to learn more: the Little Charmers are characters from a Nickelodeon Junior television series that first aired in January of this year. The show centers around three young witch friends from Charmville (Hazel, Posie and Lavender) who are learning how to control their magical abilities. Full episodes of the series are available to view (for free) on the Nick Junior website. I wish I'd know this before I paid $2 to watch the first episode on Amazon. I prefer the characters, plots and and catchy music on Doc McStuffins, but Little Charmers is harmless fun and seems to be popular with preschool audiences. Little Charmers Lavender (left) and Posie (right). Despite the overwhelming popularity of 18-inch play dolls, boy characters in this scale are still pretty scarce. 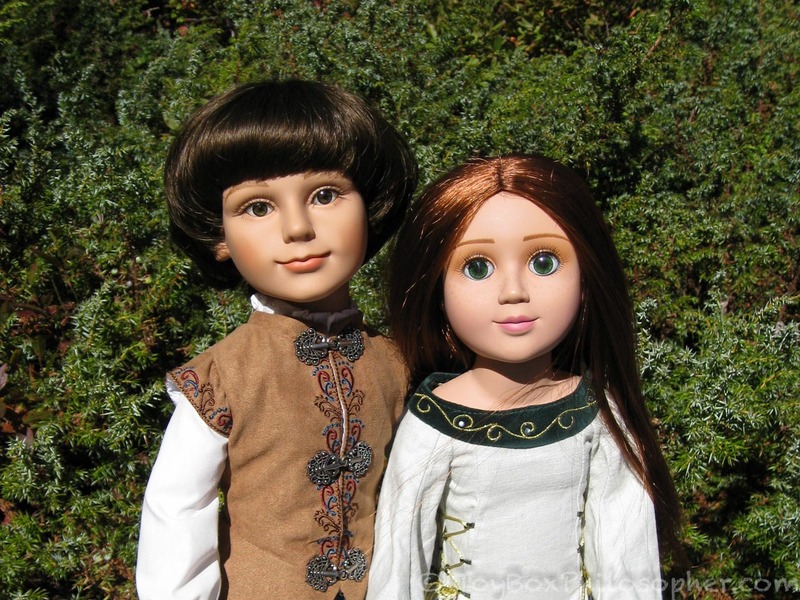 My Twinn will make a custom boy doll for you, but they seldom have any available for purchase in the Adopt-A-Friend section. 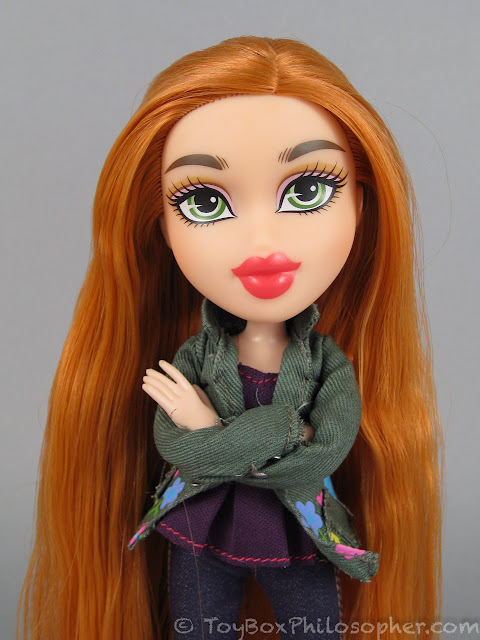 Paola Reina America has one boy, Unai, in their Every Girl collection, and Harmony Club has a few cute boys. There are also some adorable young lads in the Extra Special Dolls collection--in fact Ian is one of my favorite dolls from that company. Kidz 'n' Cats probably has the best selection of 18-inch boys dolls right now, with at least one new character released every year. All of the Kidz boys have gorgeous faces and fun outfits that match the age level and charm of the girls. American Girl does not offer an American Boy, but there are a lot of customization artists who are very good at transforming the girls into boys. My Froggy Stuff has a nice (short) tutorial on how to approach this process, as does GiGi's Doll and Craft Creations. Carpatina's Stephan ($108) and Erin ($69). I've been hearing about the Azone International doll company for a few years now. Both Jessica (from the first Photo Mission) and Charlotte (from Milklegs Dolls) have listed these Japanese dolls among their favorites. I was curious about this highly-articulated brand from the first time I heard it mentioned, but it took me a really long time to choose a doll to buy. It often takes time to get acquainted with a new doll company, but I found the Azone doll selection particularly overwhelming. One obstacle is that there are several different sizes of doll made by this company. To name a few, there are 1:3 (18-20 inch) Original Series dolls, 1:12 (~6 inch) Picco Neemo dolls, and a wide array of 1:6 (9-12 inch) Pure Neemo characters. Even after I decided on the 1:6 Pure Neemo size range, I still had a lot of options in front of me. First of all, there's size variation within the 1:6 scale. These dolls can be XS (extra small, 7.2 inches), S (small, 7.76 inches), M (medium, 8.43 inches) or L (large, 8.86 inches). There's some chest size variation, too. In addition, not all Pure Neemo bodies are articulated in the same way. I ended up with what's called a regular Flection body, but there are also Flection Advanced and Flection Full-Action bodies...the latter of which I probably would have liked better than the one I bought. However, I got distracted by the characters of the dolls and didn't pay enough attention to articulation until it was too late. I was fascinated by the characters because many of the Pure Neemo dolls are based on Japanese anime series. I didn't want to buy a doll without knowing her backstory, so I watched quite a bit of anime. 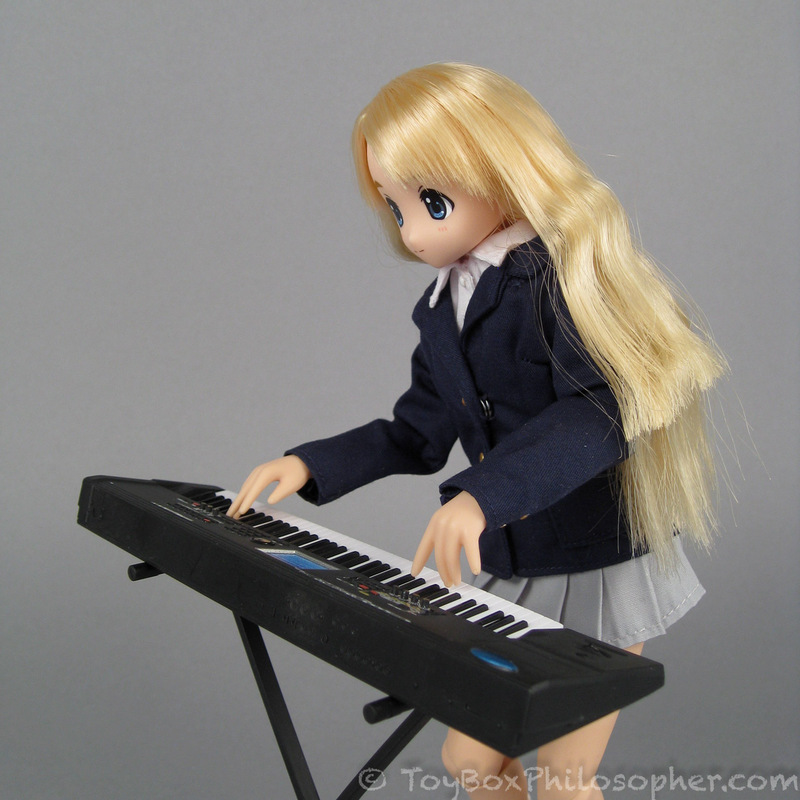 Pure Neemo 1:6 "Tsumugi Kotobuki" by Azone International. This post is a companion to Melissa's great comparison review of the Tinker Bell dolls. Thank you for all of the helpful background information and for your careful evaluation of the dolls, Melissa! 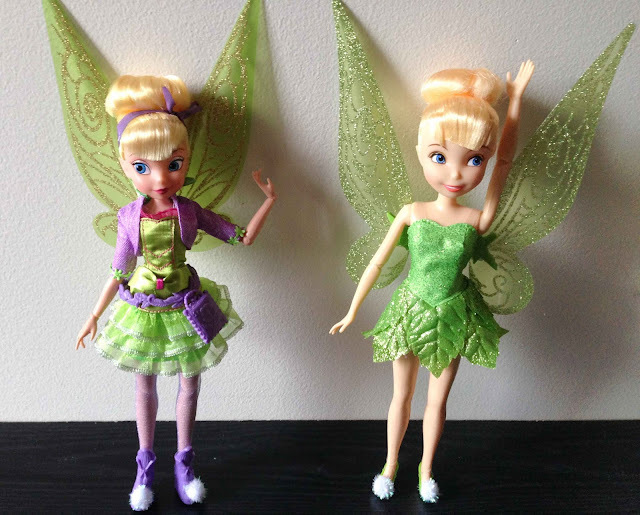 I agree that the Disney Store's Tink seems more appealing overall. Her face is so darn cute, and I kinda like her movie-accurate leaf dress...even with the excess of "pixie dust." Of course, it's not shedding glitter all over my house. Periwinkle dolls by Jakks Pacific (left), $14.99 and the Disney Store (right), $14.95. Ever since my friend Melissa told me about the new 11-inch Project Mc2 play dolls by MGA Entertainment, I have been looking forward to writing this review. 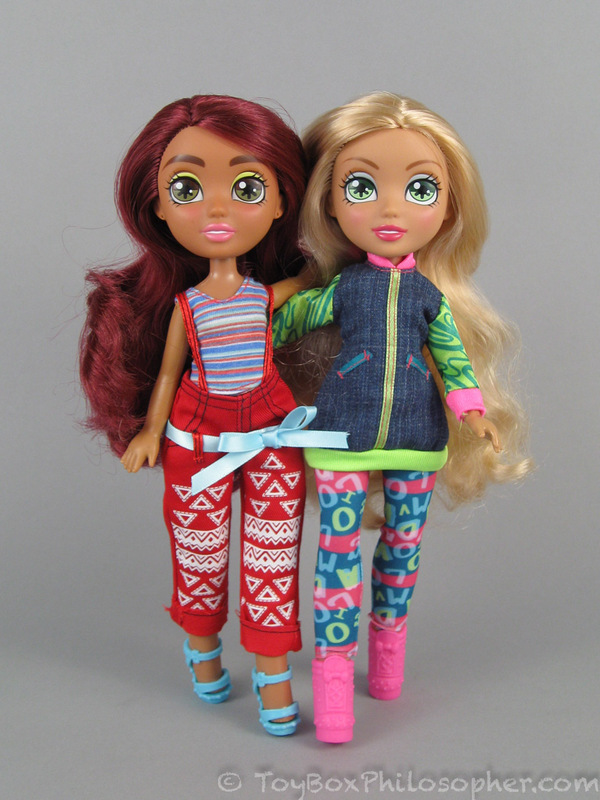 There were a ton of things to get excited about with this new doll line. First of all, the promotional pictures of the dolls make their articulation look incredibly promising. 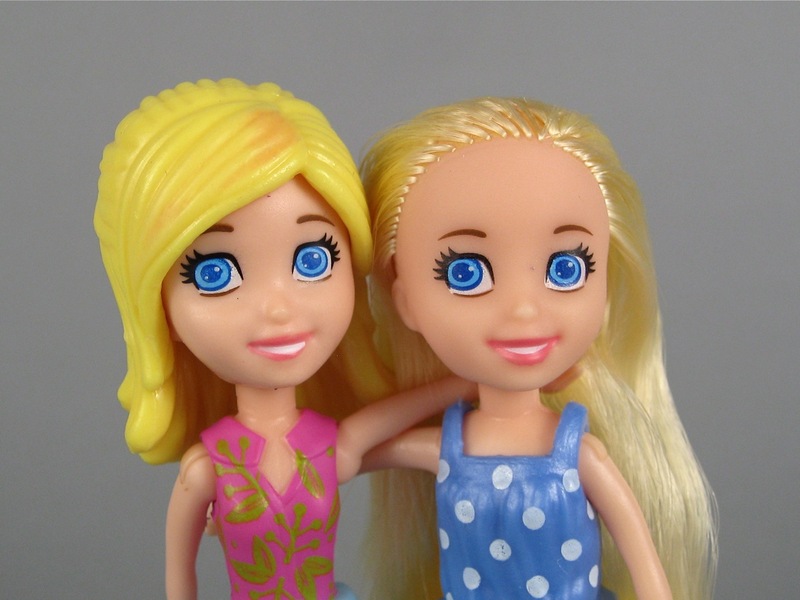 Also, the girls all have realistic-looking inset eyes that make me think fondly of Spin Master's discontinued Liv dolls. The icing on the cake is that this new group has a science-based theme, wonderfully geeky personalities, and creative, project-based accessories. Sounds like a dream come true for me, doesn't it? Many of you thought so, and generously took the time to email when you saw these dolls show up in stores. Thank you so much for each and every message--you guys know me well. This doll line is based on a live-action television series following a group of smart tweens who belong to a secret spy organization called NOV8 (for innovate). The four members of NOV8 use their S.T.E.A.M. (Science, Technology, Engineering, Art and Math) skills to go on missions. The series premiered yesterday on Netflix. I was in such a hurry to get my hands on these dolls, I ordered all four of the characters on eBay the instant they appeared. Unfortunately, as those of you on Facebook already know, I ordered too hastily to notice that the dolls I bought were the $14.99 basic versions that have limited articulation. To get a doll with the number of joints shown in the promotional pictures, you have to order one of the more expensive Project Mc2 playsets ($24.99). The great thing about ordering the sets, however, is that each one comes with a doll and a fun-looking science-based activity. After realizing my mistake, I immediately bought one of the sets: McKeyla's Lava Light. In this review, I will look at McKeyla and her activity, and will also de-box one of my basic dolls for comparison. Brace yourselves, folks, this is a long one. 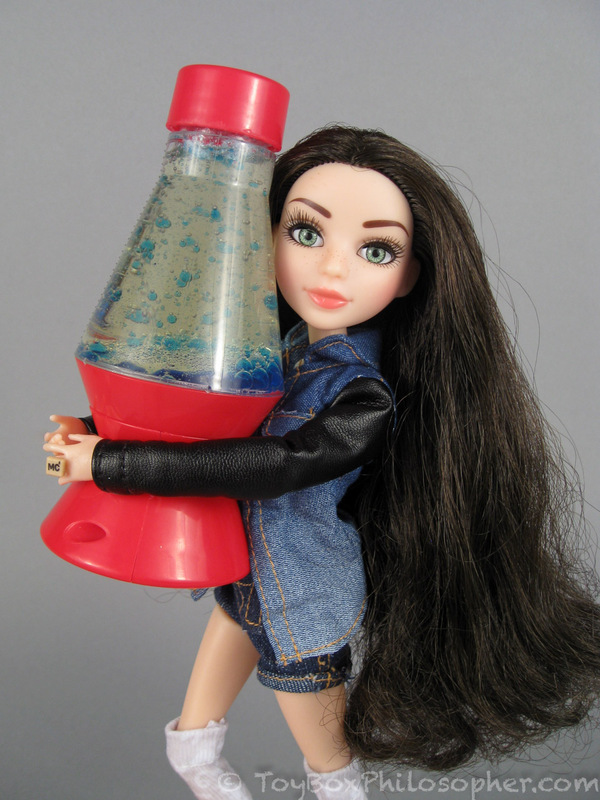 Project Mc2 "McKeyla" from the McKeyla's Lava Light set, $24.99. Mattel seems to wait until my interest in the Monster High line is waning, and then they announce a very cool and unexpected new addition that gets me all enthusiastic again. The last time this happened was in June of last year, when the centaur Avea Trotter came out. In one fell swoop, that exceptional equine renewed my awe for the creativity behind the Monster High concept. 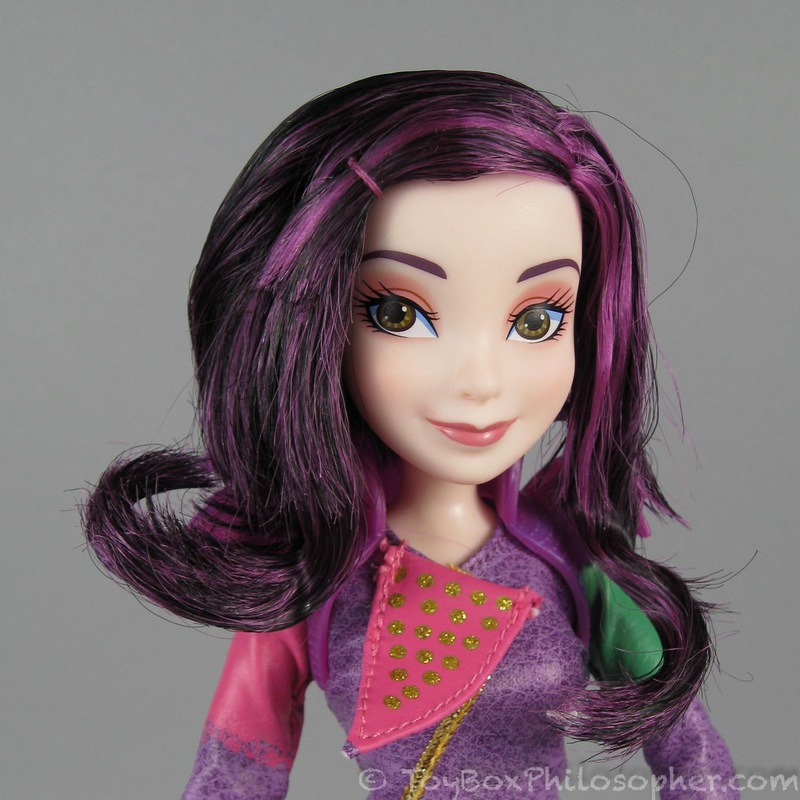 My enthusiasm also got a mid-year boost with the release of the Inner Monster dolls. This year, just as I started to skip the Monster High aisle at Toys R Us, or yawn as I scrolled through pictures online, the new 17-inch dolls were announced. A Monster High doll this large would have been plenty exciting on its own, but these new giants also have an updated style of articulation. Yay! Monster High articulation is already so good, the idea of improved and increased joints on these dolls was enough to make me absolutely giddy with curiosity. 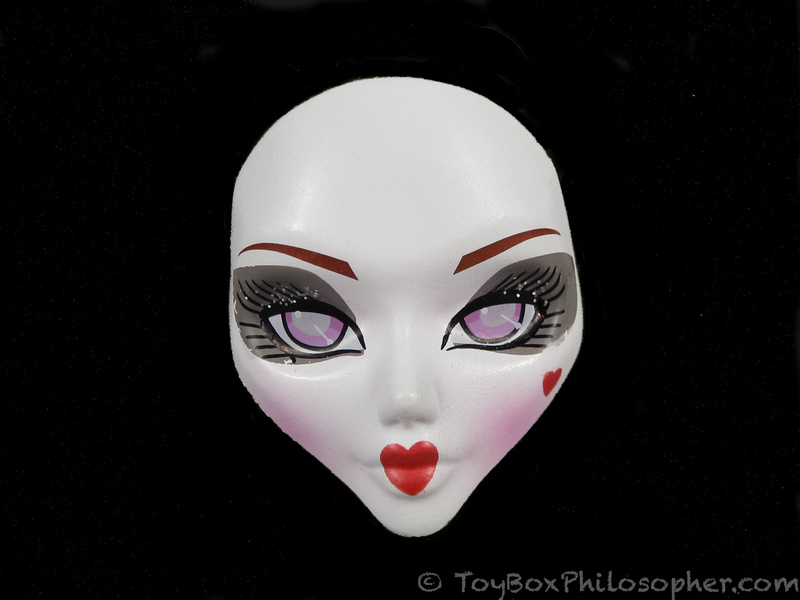 Freak du Chic "Gooliope Jellington," $29.99. 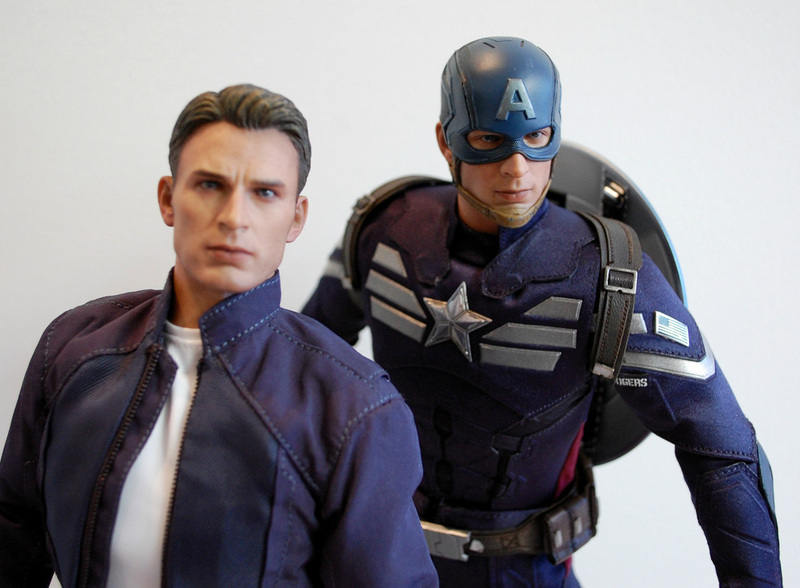 "Captain America: The Winter Soldier" Figures by Hot Toys--A Guest Review! I have collected and reviewed a few action figures in the past year, but am still a huge noob in this arena. I really like my Walking Dead Daryl Dixon figure, but he's not very articulated. 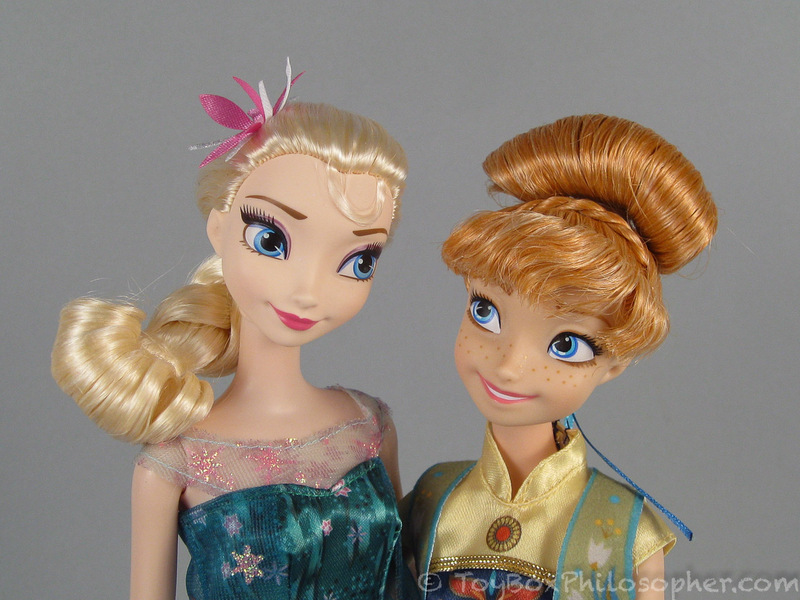 My Phicen Seamless figure is the most beautifully articulated doll I have ever owned...but she's not super durable. I'm still on the hunt for a happy medium in the action figure world: realism, articulation and durability all in one. I've had my eye on the 1:6 scale figures from Hot Toys for a while--especially the gorgeous redheaded Scarlett Johansson as Black Widow. Despite my growing curiosity, I've had a hard time getting myself to plunk down the funds necessary to look at one of these Hot Toys figures up close. As luck would have it, I got an email a few months ago from Gwen, who was hoping to review not just one...and not two...but three Hot Toys figures! Of course I couldn't resist the wonderful opportunity to get another perspective on the quality of these collectibles. Gwen is primarily an American Girl collector, but her tastes have wandered into the action figure realm. It's fun for me to encounter someone who appreciates dolls at such different ends of the spectrum. I used to assume that doll collectors mostly stayed loyal to one particular brand or type. On the contrary, I'm frequently impressed by the combination of styles and sizes of doll that people enjoy. This diversity is yet another one of the amazing things about the doll collecting hobby. Anyway, Gwen is an absolute delight to work with and has done a fantastic job of reviewing three dolls in one post. She did such a good job, in fact, that about half way through formatting her review, I broke down and pre-ordered my very own Black Widow figure from Hot Toys. Finally! Thank you for helping me make this momentous decision, Gwen. My Black Widow review will have to wait for fall, but let's not wait another second to have Gwen tell us all about her three handsome men. Over to you, Gwen! Hello everyone! I'm Gwen, and while I usually spend my time blogging about American Girl, historic food and my attempts to cook it, I'm here today to talk to you about these action figures from Hot Toys that came out in conjunction with Captain America: The Winter Soldier. With the Hot Toys figures for Avengers: Age of Ultron almost all released and available for pre-order, I thought people might be interested in hearing some thoughts about these pricey-but-cool looking figures, and Emily was kind enough to let me take the chance to do so! The Captain America: The Winter Soldier Captain America and Steve Rogers Set by Hot Toys, $339.99. It's not unusual for me to buy a doll for review and then get distracted by something else. In fact, this happens quite a lot, and so my reviews are rarely written when they were originally planned. However, I don't think I have ever procrastinated with a review quite as much as I did with this one. I bought these Jan McLean Lollipop Girls back in...wait for it...June of 2012. Three years ago. Not long after I first started blogging, if you can believe it. I had a variety of reasons for delaying this review, one of which was simply that the Lollipop Girls are long discontinued. 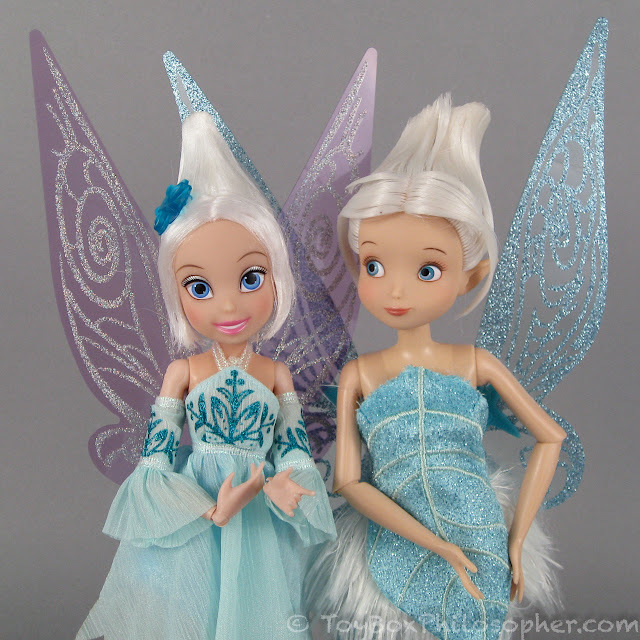 These dolls were made over a decade ago, during 2002 and 2003. The 12-inch vinyl dolls that I will show you here are actually miniature versions of Jan McLean's 25-inch porcelain dolls of the same name. Ms. McLean has not made very many vinyl dolls throughout her career. This New Zealand artist is better known for her limited edition porcelain creations--a nice assortment of which has been archived for viewing at The Dollery. Completely by coincidence, the delayed timing of this review might be strangely relevant. Although Ms. McLean has not made any new dolls since 2009, she premiered a new collection of one-of-a-kind porcelain dolls at the International Doll and Teddy Show...just yesterday. The dolls sold out within hours. Jan McLean mini Lollipop Girls "Neena" (left) and "Cassie" (right). Color change Polly Pocket (left, 2012) and rain coat Polly Pocket (right, 2011). The Blueberry Muffin Retrospective--Part 2! It's spring break here in Maine and there is visible (kinda green?) grass, a scattering of brave flowers, and a fair amount of sunshine. It's pretty great. Also, I am walking in normal shoes again for the first time since January, which is pretty amazing, too. The walking came in handy this past week because my family spent the break looking at colleges for my eldest son...which is an exhilarating and terrifying experience, let me tell you. Now we are back at home and I have finally found some time to finish the second part of my Blueberry Muffin marathon review. In the first installment of this post, I looked at the debut Blueberry Muffin doll by Kenner, and also the Toy Head Quarters (THQ) and Bandai versions of the character. 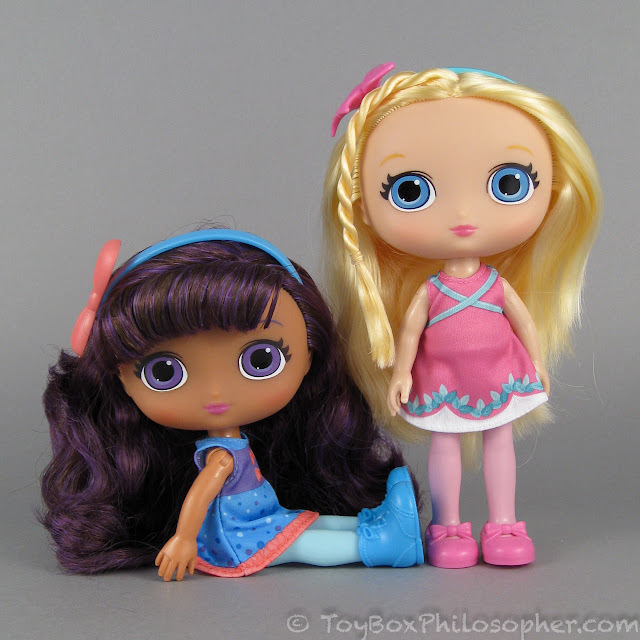 Today I will review the Playmates, Hasbro and Bridge Direct dolls. Hasbro has controlled the Strawberry Shortcake license for as long as I have been a blogger, so I've grown very accustomed to seeing those dolls in the store. For this half of the review, I was eager to discover whether or not I like the newest Bridge Direct version of Blueberry Muffin as much as I like the familiar Hasbro doll. 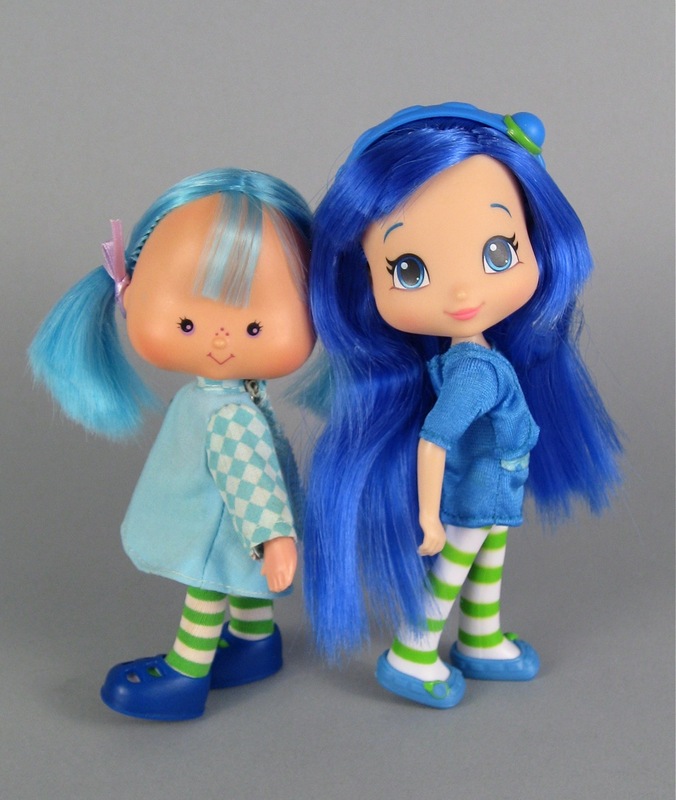 Blueberry Muffin dolls from Kenner (left) and The Bridge Direct (right). First of all, the Cinderella movie doll poll closed the other day and (much to my surprise) the Frozen Fever dolls won! It was a close call with the Fairy Godmother for a while, but the Frozen princesses ended up winning 107 to 95. The funny thing is, the doll I intended to review (ball gown Cinderella) came in last of all. I am so glad I ran the poll! Thank you very much to everyone who voted. This week's review is a little different from what I normally write. 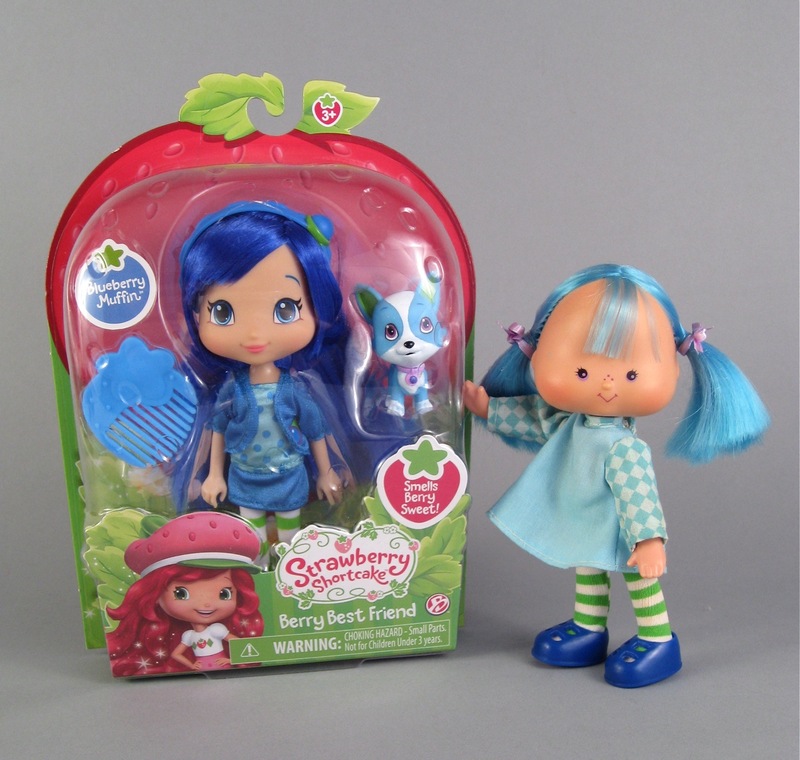 I am going to look at a series of Strawberry Shortcake dolls, focusing on how the dolls have changed over the years as the brand license moved from company to company. What inspired me to write this retrospective review? Well, first of all, the Strawberry Shortcake license very recently changed hands for the fifth time. Hasbro, which had been manufacturing the dolls and toys since 2009, passed the torch to The Bridge Direct in 2014. 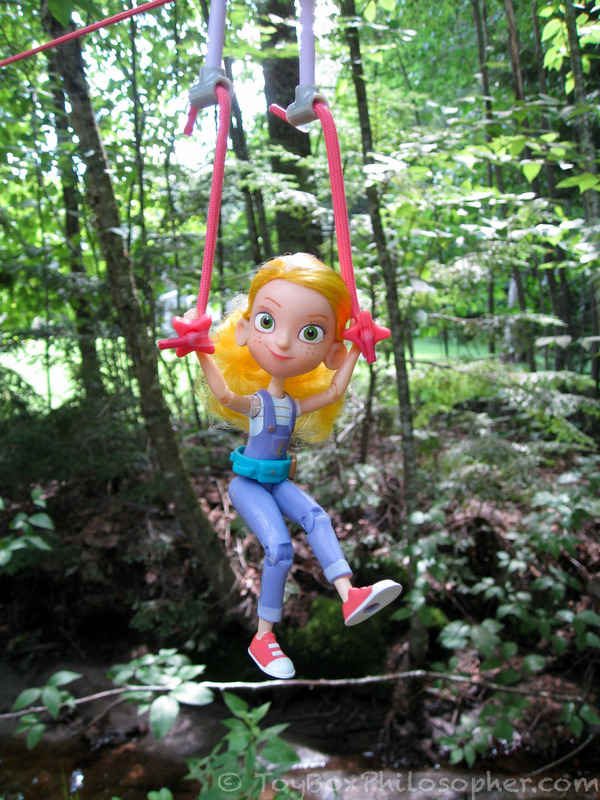 I have been looking at the new Bridge Direct dolls in the stores for a few months now, trying to decide if I like them and wondering if a comparison to Hasbro would be fun. The thing is, I don't actually know much about Strawberry Shortcake, and so I kept postponing my review, thinking that I couldn't really do the subject any justice. How can I be a child of the 80s and not know anything about Strawberry Shortcake, you might ask? Well, that gets at my second motivation for writing this review--and certainly the most powerful. I still vividly remember a day during my childhood when I was shopping at a department store with my family. On that day I saw a small display of Strawberry Shortcake dolls, and badly, badly wanted the Blueberry Muffin doll. I loved her blue hair and couldn't believe that she might actually smell like blueberries (at this time in my life, scratch-and-sniff stickers and those smelly Mr. Sketch markers were the best things ever, so a fragrant doll was like perfection). 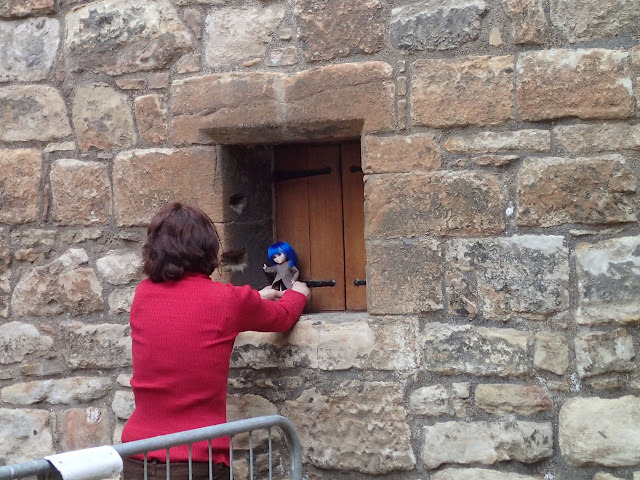 I wasn't allowed to have the Blueberry Muffin doll that day, and so there's been a small, obstinate, foot-stomping piece of me that's wanted it ever since. Blueberry Muffin dolls by The Bridge Direct, 2015 (left) and Kenner, 1979 (right). 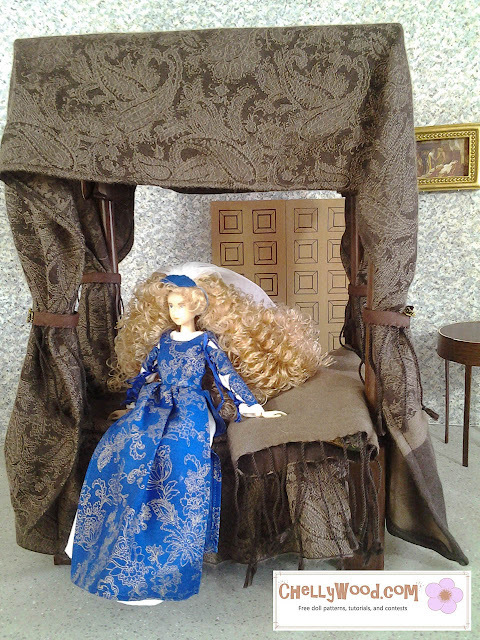 It's been fun to compare some of the Cinderella movie dolls over on Facebook this past week. I really enjoyed hearing everyone's opinions about these dolls and about the movie itself. I don't want to flood the blog with Cinderella-themed reviews, but I am a little obsessed it seems like there's interest in another comparison. I thought maybe I'd run a quick poll (mostly because they're fun and I haven't done one in a while...) to see which character everyone is most curious about. 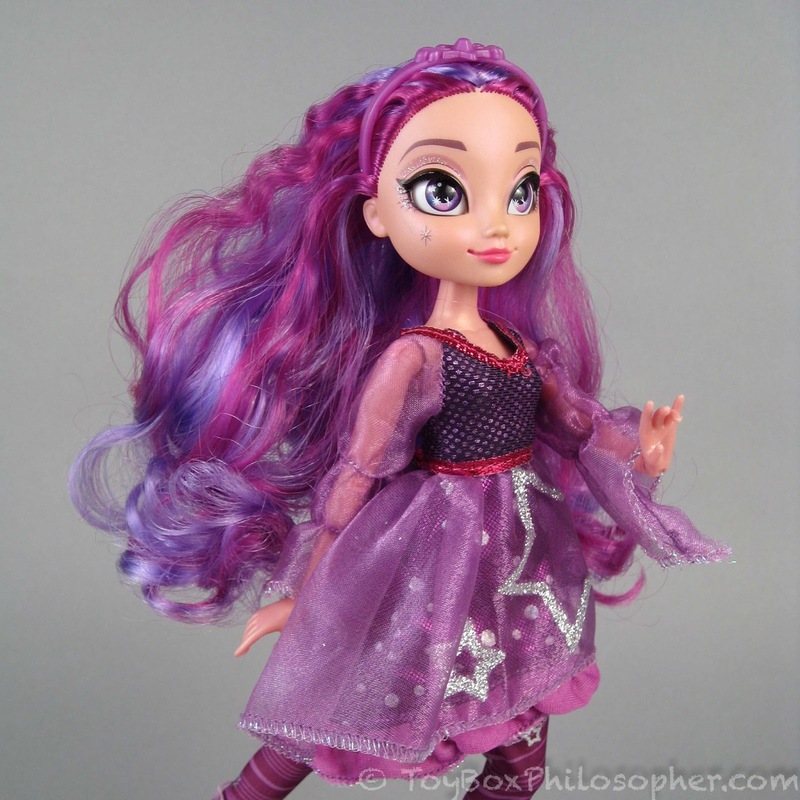 In the meantime, I have a fairly new brand of doll to review today. 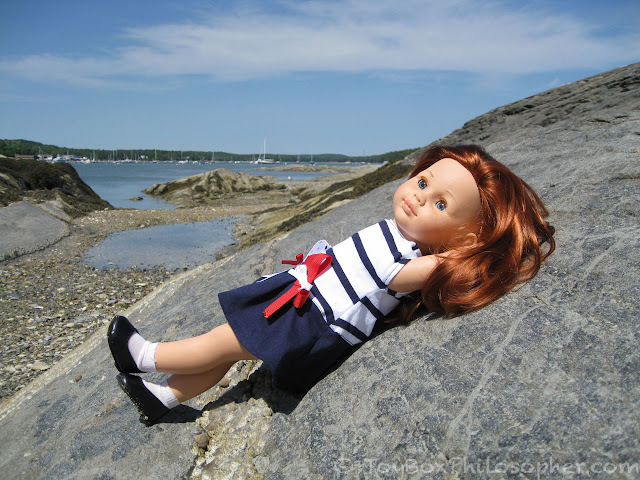 I have been eyeing these dolls for almost a year, but didn't take the plunge and purchase one until October, when Holly Marie alerted me to an excellent sale over at Zulily. Not only did I purchase two dolls through this sale, but I am now a regular Zulily lurker and have found several more really amazing doll deals there. Anyway...what dolls did I buy from Zulily in October? 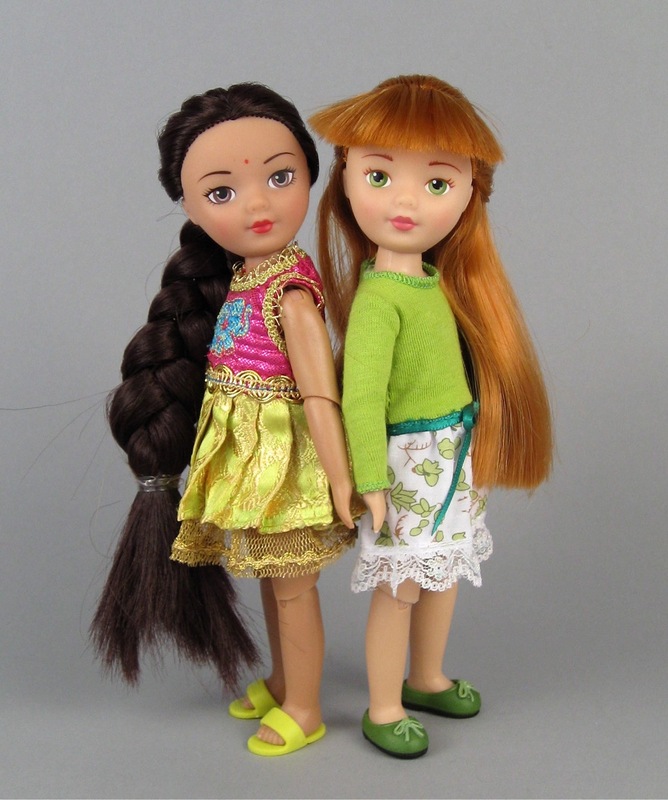 Two 12-inch fashion dolls from The One World Doll Project. 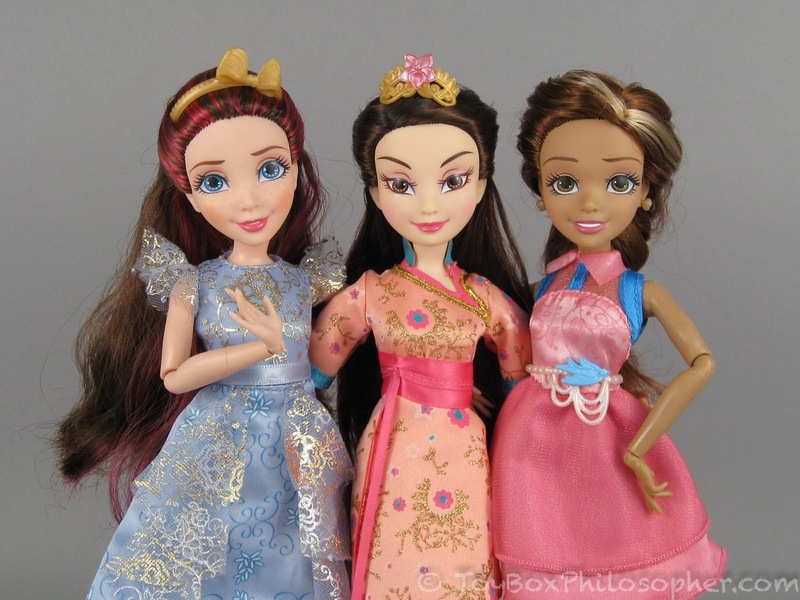 The One World Doll Project was founded in 2010 with the intention of using dolls to help promote positive self image in young girls all over the world. The first dolls released by this company are the "Prettie Girls!" (the official title includes that exclamation point...I'll probably leave it out). "Prettie" is spelled in this unconventional way because it is an acronym for, "Pretty, Respectful, Enthusiastic, Talented, Truthful, Inspiring, and Excellent." This fashion doll collection includes five characters so far, each with a different personality and cultural background. The company also has a Signature Celebrity series of Prettie Girls, the first of which is a tribute to fashion model and actress Cynthia Bailey. I purchased the Cynthia Bailey doll (regular retail $69.95, on sale for $39.99) and one of the mainline Prettie Girls named Dahlia ($24.95 on sale for $16.99). 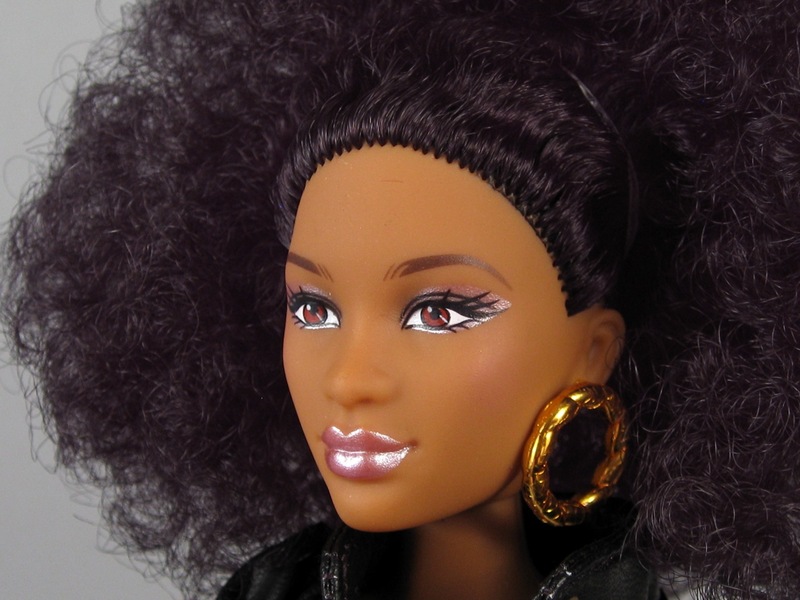 I will do an extensive review of the Cynthia Bailey doll and include a short look at Dahlia. The Cynthia Bailey Signature Celebrity Prettie Gilrs! doll by The One World Doll Project. I am so thrilled to have my friend Muzzy as a guest reviewer this week. You might know Muzzy from her lovely comments here on the blog. I am especially grateful to Muzzy because not only did she choose to review a character that I am very fond of (Ashlynn Ella! ), but the timing of her contribution is perfect. I could not be more grateful to have a helping hand this week (a helping foot would be awesome, too...) but also, this is the first week of the Cinderella movie (I haven't seen it yet...the agony!) and so a review of Cinderella's daughter seems highly appropriate. I will let Muzzy tell you all about this new version of Ashlynn Ella, and then I will hop in at the end to share a few pictures and thoughts about my own new Ever After High doll, Duchess Swan. Please welcome Muzzy to the blog with her beautiful Ashlynn! Ever After High's "Through the Woods" Ashlynn Ella. I am still having a bit of a hard time getting around, and so my "field research" has taken a hit. The nice thing is, I always seem to have a stash of dolls sitting around that I purchased ages ago but haven't reviewed for one reason or another. This week, I decided to raid that stash of forgotten dolls and I rediscovered the two Nancy dolls I bought back in 2013. 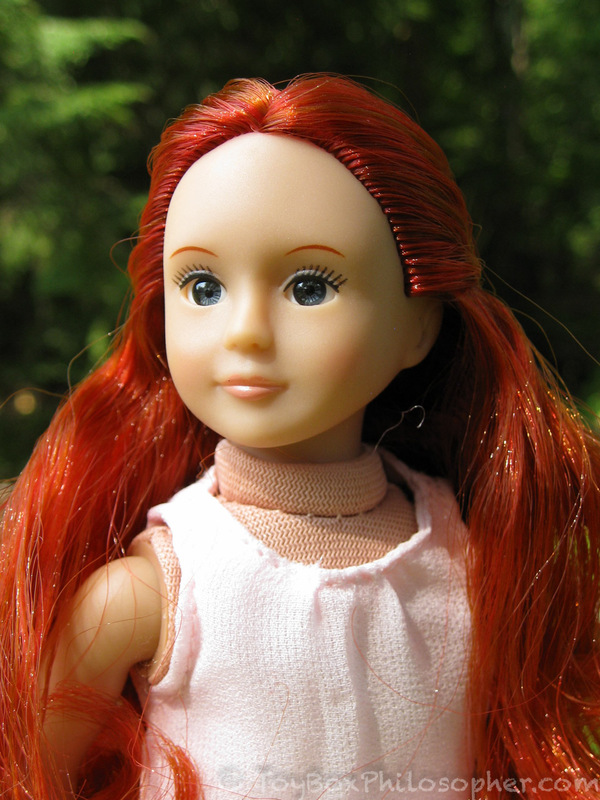 Nancy is a 16-inch plastic play doll produced by the Spanish company, Famosa. Famosa makes a wide range of dolls and toys and has partnerships with some popular brands like Furby, Hello Kitty and My Little Pony. 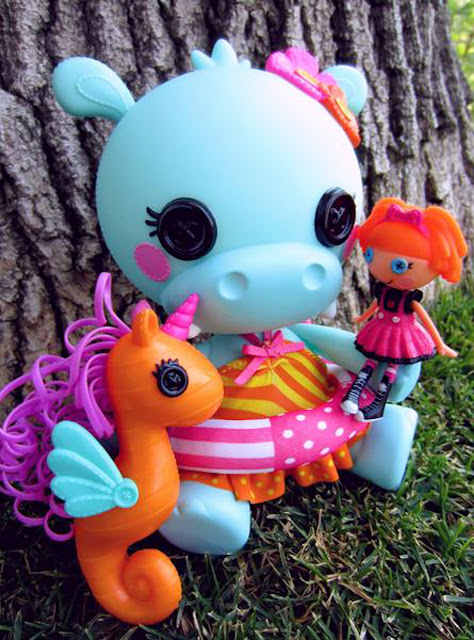 Currently, Famosa might be best known in the United States for their Pinypon line of small dolls and accessories--toys I'd really like to review some day! I first learned about Nancy dolls in 2012 from Moni, through a comment she left on an old review. I was reminded of this doll again in 2013 when I started to explore the many different options in the 18-inch play doll market. Nancy stands out from this crowd because she's smaller and shorter than dolls like American Girl, and also because of her price point. Nancy dolls tend to retail for between $20 and $25--unless they are discontinued and difficult to find. Famosa's "Little Red Riding Hood" Nancy.